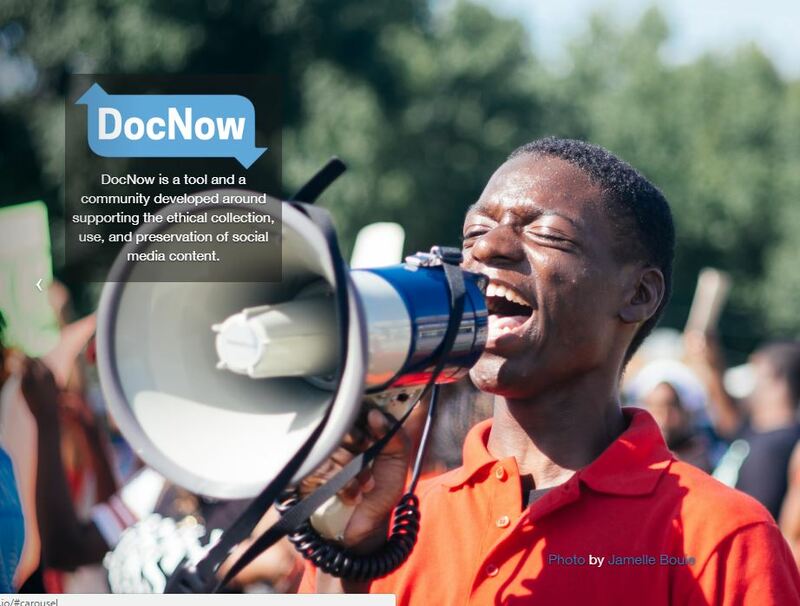 DocNow is an effort to ethically collect and preserve “the public’s use of social media for chronicling historically significant events.” The project is a joint effort between the University of Maryland, University of California, Riverside (UCR), and Washington University in St. Louis. In a prototype of the DocNow application available earlier this year, a user can enter keywords or hashtags and set the number of tweets to be collected. DocNow will then create and analyze the data set. The application can graph popular hashtags, most mentioned users, most referenced URLs, most followers, and more. It also pulls the images found in the tweets so that they too can be studied. You can read Bergis’ full post and other DocNow project updates at https://news.docnow.io/some-thoughts-on-ethics-and-docnow-d19cfec427f2#.qah73xixl.